Boneyard signs in a state of "arrested decay." 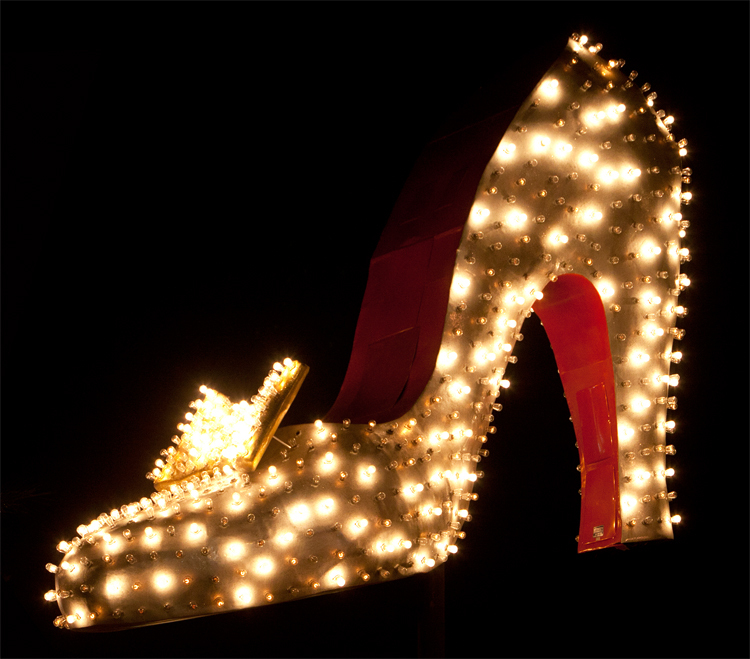 The Neon Museum resurrects the Silver Slipper casino's classic neon. Highway 1 through Big Sur is a federally designated scenic byway. So is a stretch of Las Vegas Boulevard, in Las Vegas, in large part because of its neon. 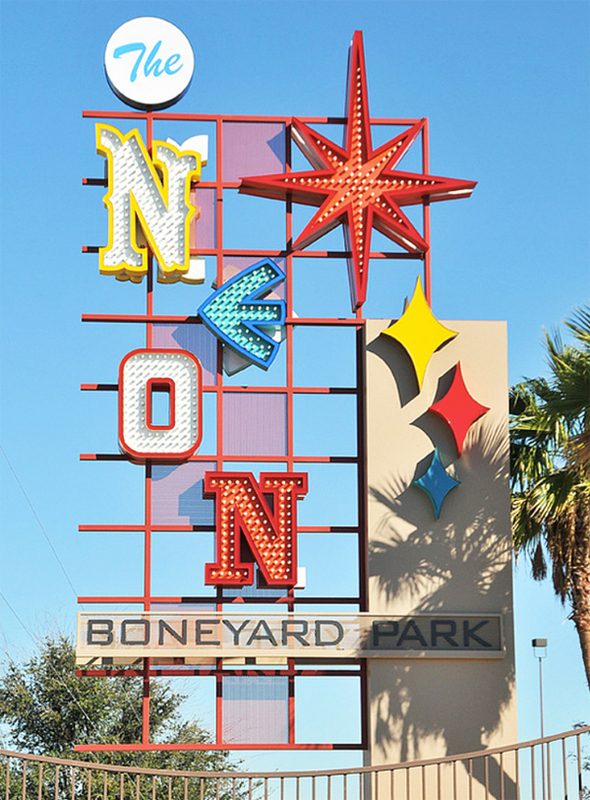 That city's Neon Museum (not related to the museum in Glendale) is partnering with the city to restore vintage neon signs from the museum's 'Neon Boneyard' and install them along the road. 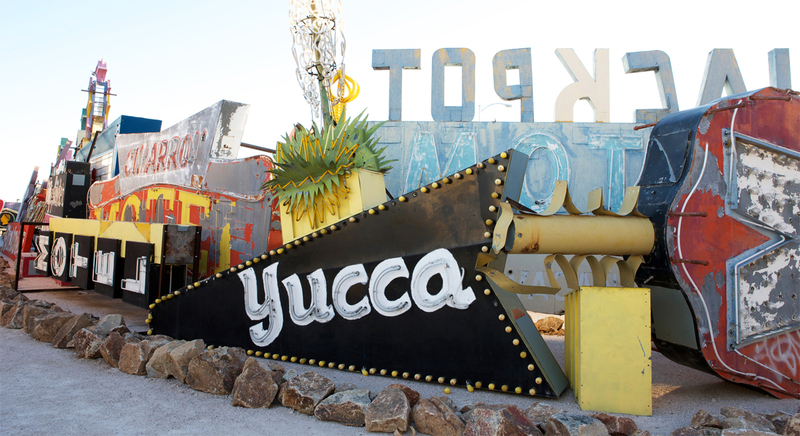 The museum focuses on neon from Las Vegas and southern Nevada. One goal is to ensure that neon remains part of Las Vegas' urban fabric, even as LED lights coat the facades of entire buildings. "I am one of those people who don't think neon will ever go out of style," says Danielle Kelly, executive director of the museum, which owns more than 200 signs, plus related materials. "You can look at a sign made with glass tubes filled with LEDs. It looks like neon. It wants to look like neon. But the look of neon is gorgeous. It is organic, and it is very beautiful. It is very human. LEDs are beautiful, but it's a different visual expression." Not that she's putting the LED spectaculars down. "Planet Hollywood, the entire façade is illuminated and can be covered with a pattern. It's pretty incredible," she says. The museum offers tours of its main boneyard, and uses a second boneyard for events and public programs. While some of its signs get restored and light up, others are preserved in a state of arrested decay. "There is something beautiful about the signs in their [deteriorated] condition," Kelly says. "They wear their history beautifully." The museum, founded in1996, took on a higher profile in 2012 when the former lobby of the La Concha Hotel, designed in 1962 by Los Angeles architect Paul R. Williams, became the visitor center. "Ohmigod, it's gorgeous. It's an incredible building," Kelly says. "We're so fortunate to be able to rescue that building and rehabilitate it as an example of reuse of a historic building. It was always meant to be a place to welcome people, and it still does that."